While conventional plastic bags and boxes suffocate vegetables by trapping stale air and ethylene gas, our damp cotton bag keeps moisture-loving vegetables alive and crisp in a high humidity, breathable environment. Vejibag is the organic, eco-friendly alternative to plastic, for storing and preserving vegetables in the refrigerator. Made in the USA from virgin french terry, Vejibag are created using impeccably sourced organic cotton, milled and produced by workers in the the United States using ethical labor practices. The Vejibag uses humidity and air flow to keep produce fresher, longer. The best part? They work. A EUROPEAN TRADITION THAT REINVENTS VEGETABLE STORAGE. by creating a humid, breathable environment, vejibag rescues vegetables from roT using Age-Old Principals. made from organic cotton, Grown, milled and sewn at worker owned co-ops in the united states. Vejibags come in 3 easy-to-use sizes. 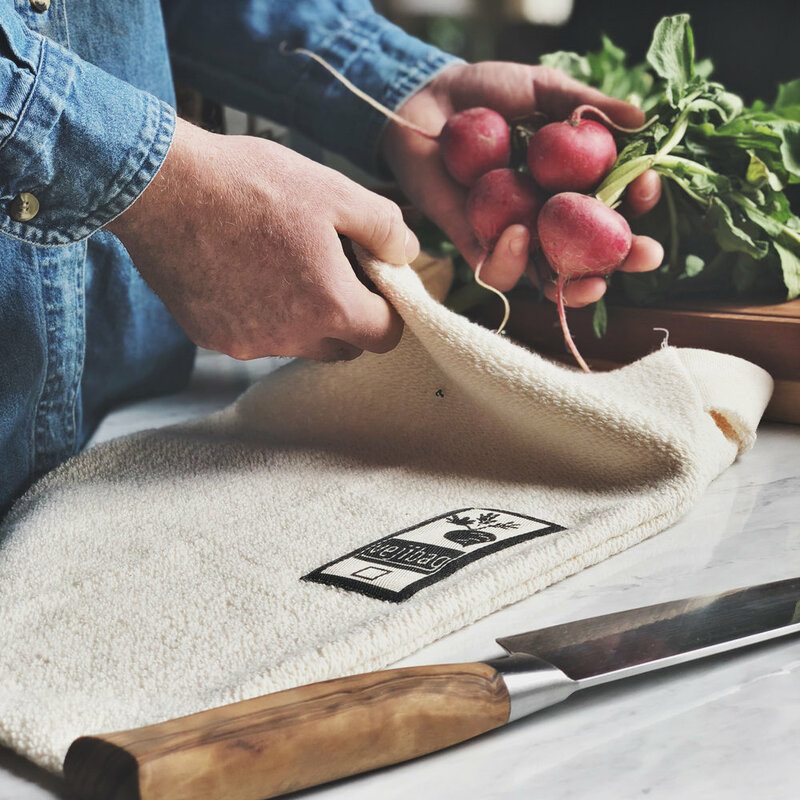 Made from the softest organic french terry cotton, our cotton bags work with a huge variety of vegetables, fruits, and herbs. Want to stay connected? Join our Newsletter for updates and exclusive promotions.